The Andros Sofa, designed by Italy's Nicoline Design Studio, features a classic style that is rooted in the past, as well as the best of today's modern, clean design trends. The tufting on the back and arms of the sofa imbues the Andros with a sense of refined elegance, making it a stunning choice for your living room space. 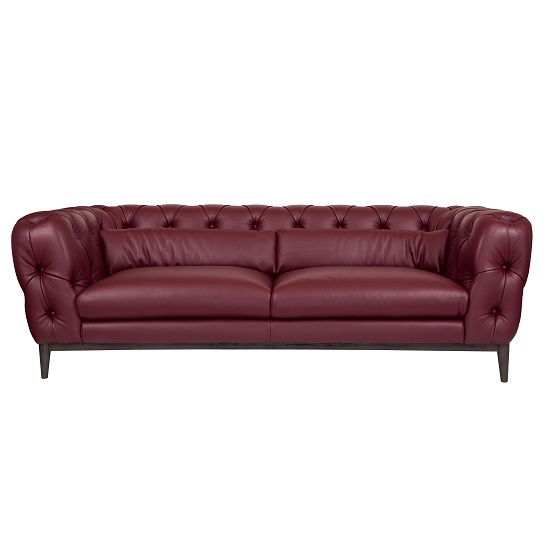 Available in burgandy leather with brushed oak legs. Available for special order in a variety of leathers and fabrics.